May 8th, 6 p.m. – 9 p.m.
“Eighteen of Bellingham’s finest literary organizations have offered poets for an evening of performance and creative cross pollination. Bellingham is a town brimming with poets. Many of us don’t know each other. Let’s change that. 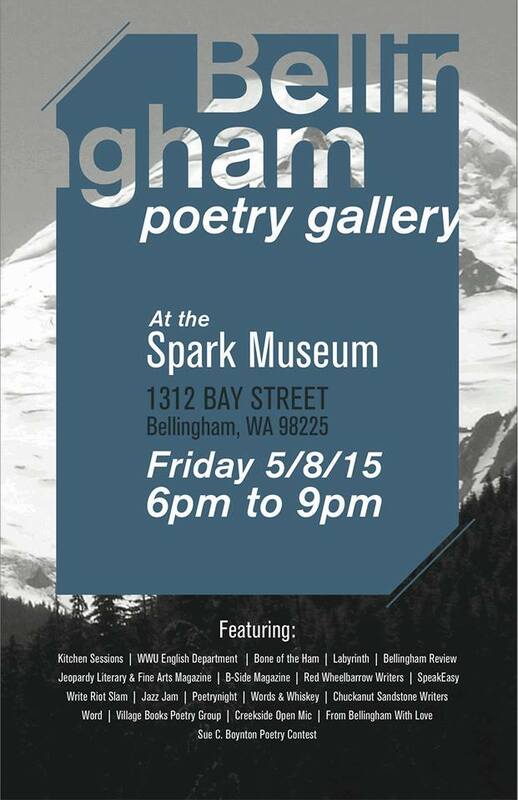 The Bellingham Poetry Gallery will display just some of the wealth of poets and poetry that Bellingham has to offer. BPG is about community. The point of this reading is not to muddy our town’s poetry and poets into one amorphous group, but rather to recognize our diversity and to appreciate that diversity. Most importantly, we hope to inspire each other with poetry that is outside of our familiar, from poets who are outside of our familiar circles. This is a gallery in its truest sense. We are placing our town’s poets and poetry in one room for an evening of shared indulgence in our uniting passion. We are poets, and we are sharing poetry. Please arrive at 6pm to mingle and snack and to enjoy the musical stylings of Jeff Reier. Erica has asked me to join in the SPOKE & WORD biking /poetry event Bellingham leg happening this Friday. 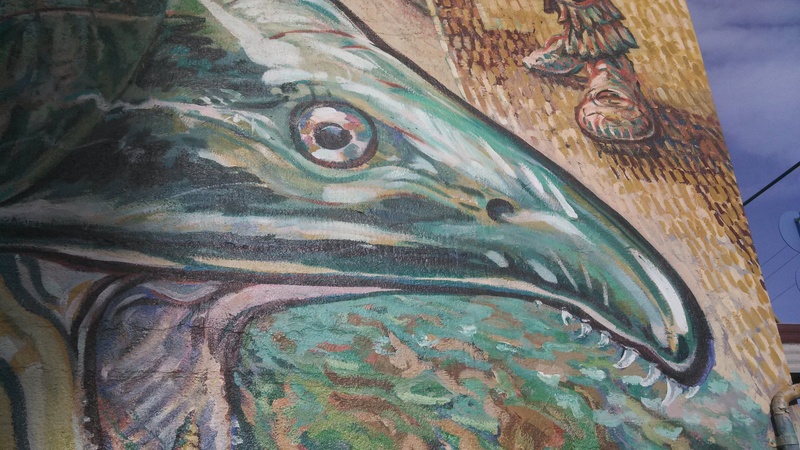 I’ll be standing under this giant wall mural, near old city hall, outside, reading my poetry to bikers about 7:15-ish p.m. this Friday May 1st. The year is starting to cook! Yay poetry! Wow! What an incredible town we live in! This is muse heaven!